Back to Back Jams for this producer Tayo Wink ! Oh Oh.. another HOT Cyberjamz Records Music Alert ! The HOT Tayo Wink have been releasing some quality music now for quite a few years for Cyberjamz/Toupee Records respectively. Now he delivers what is to be another masterful E.P with some quality music ranging from deep house to afro-house,this package has something for all deejays and dancers alike. 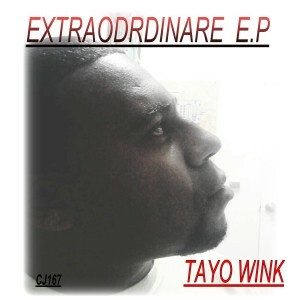 Quality stuff from Tayo Wink and the Cyberjamz Records Camp.